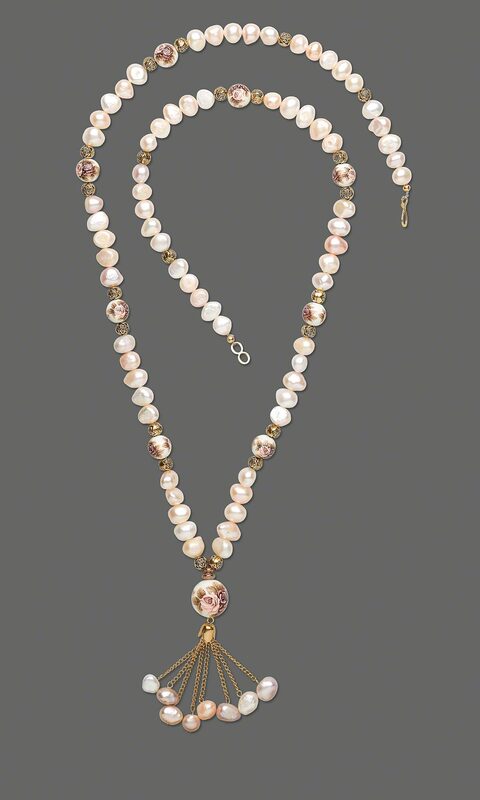 Enjoy the look of renaissance royalty when you create this baroque style pearl necklace with lustrous cultured freshwater pearls, tensha rose beads and a pendant tassel of pearls dangling on a gold-plated chain. Tensha round beads, 16mm, white with twin rose. Tensha round beads, 12mm, white with twin rose.